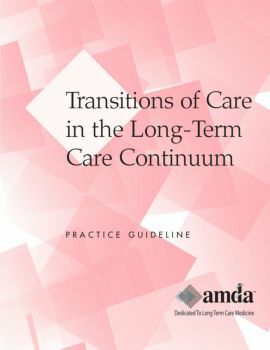 Transitions of care involves the movement of a patient between care settings and the transfer of information with them to facilitate a seamless continuum of care and to enable patients’ wishes to be followed - no matter where in the continuum of care they are. This is an important issue, as care for today’s elderly people is more complex than ever. It may involve a wide variety of care settings over time including community-based care, home care, hospital care, sub-acute care, rehab, skilled nursing care, assisted living, and hospice. As an elderly person gets sicker or gets better, he or she may move from setting to setting, such as from a hospital to a nursing home or rehabilitation facility or from home to an assisted living facility. It is important that these transitions of care between settings are handled smoothly and effectively.